Climate change and habitat destruction are not the only culprits behind so many animals facing extinction. The impact of consumer demand for cheap meat is equally devastating and it is vital that we confront this problem if we are to stand a chance of reducing its effect on the world around us. We are falsely led to believe that squeezing animals into factory farms and cultivating crops in vast, chemical-soaked prairies is a necessary evil, an efficient means of providing for an ever-expanding global population while leaving land free for wildlife. Our planet's resources are reaching breaking point: awareness is slowly building that the wellbeing of society depends on a thriving natural world. 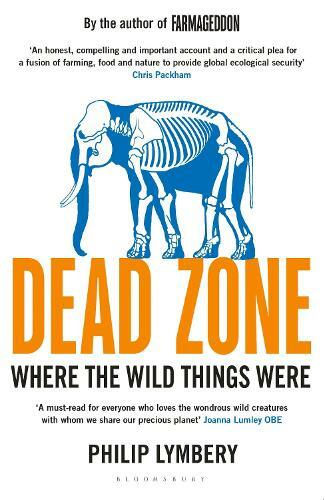 From the author of the internationally acclaimed Farmageddon, Dead Zone takes us on an eye-opening investigative journey across the globe, focussing on a dozen iconic species one-by-one and looking in each case at the role that industrial farming is playing in their plight.